Prime Minister Datuk Seri Najib Razak has called on Malaysians to be more attentive to the importance of registering disabled citizens with the Social Welfare Department. In a Facebook post, he mentioned there are an estimated 4.4 million persons with disabilities living in Malaysia, but only 506, 228 are registered with the government. “I hope that the people are more attentive to ensure that this special group is registered with the department so that they can get the facilities and privileges provided by the government,” he stated. His comments came a day after the International Day of Persons with Disabilities (IDPD) on December 3, which has been commemorated since 1992 to promote awareness for critical issues relating to the inclusion of persons with disabilities in society and development. “By promoting empowerment, real opportunities for people are created. This enhances their own capacities and supports them in setting their own priorities,” the United Nations posted on IDPD. The good news is, however, that while unemployment rates for candidates with disabilities traditionally lag behind national averages, the past year brought positive job prospects to this sector of the workforce. This was, at least, in the United States, according to a new CareerCast report, which cited data from The U.S. Bureau of Labor Statistics (BLS). The report found that from October 2014 to October 2015, unemployment for persons with a disability fell from 12.7% to 11.5%. Medical records, social work, nursing, computer systems, and teaching were highlighted as some of the professions offering good opportunities for prospective employees with disabilities. “The past year brought positive job prospects to this sector of the workforce,” noted Kyle Kensing, online content editor, CareerCast. The report added that technological companies have, in fact, acted as trend-setters when it came to hiring people with disabilities. 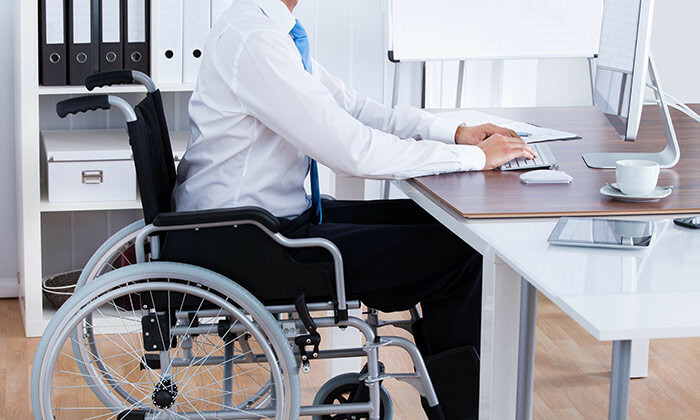 For instance, computers systems analyst, was found to have a 3.2% prevalence of employees with disabilities. “By 2022, the BLS forecasts growth to more than 20,000 with disabilities working as computer systems analysts,” the report stated. Along with IT, healthcare careers were highlighted as among the hottest professions for disabled professionals. Some of the healthcare industry’s most promising prospects for candidates with disabilities included pharmaceutical technician and nursing. Similar growth in the business sector is anticipated, both at the early-and-mid career levels, as well as in upper managerial positions. 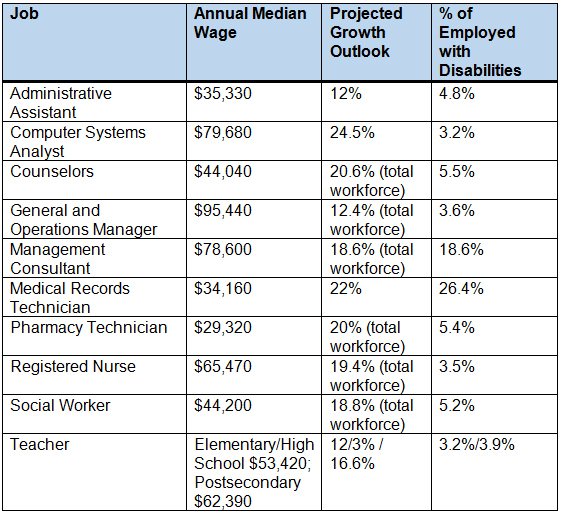 Administrative assistant positions were predicted to grow by 22.9% for candidates with disabilities, as per the report. We might live in the world's 5th most expensive city, but there are still many things to love about working life in Singapore. ..